Minimal yet chic, this stainless steel Olivia Burton watch will add some refined elegance to your outfits. The iridescent mother of pearl dial, gives this watch a fashionable finish fitting for enhancing your everyday looks. 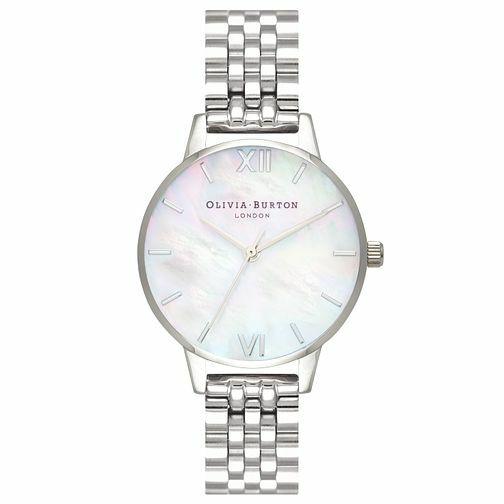 Olivia Burton Stainless Steel Mother of Pearl Watch is rated 5.0 out of 5 by 1. Rated 5 out of 5 by Anonymous from Lovely modern watch Purchased this watch for our 21 year old daughter as a Christmas present, she was thrilled with it! Absolutely nothing to dislike about it, so no hesitation to give it 5 star rating.